PFL Engineering provides bolting solutions and requirements including torquing, tensioning and stress analysis with the use of state of the art equipment which include Hydraulic Torque Wrenches, Bolt Tensioning Cylinders, Hydraulic Nuts and more. Bolt Tensioning is a controlled method of tightening which applies preload to a bolt while stretching it axially. As a result, inaccuracies created through friction are eliminated and massive mechanical effort to create torque is replaced with simple hydraulic pressure. 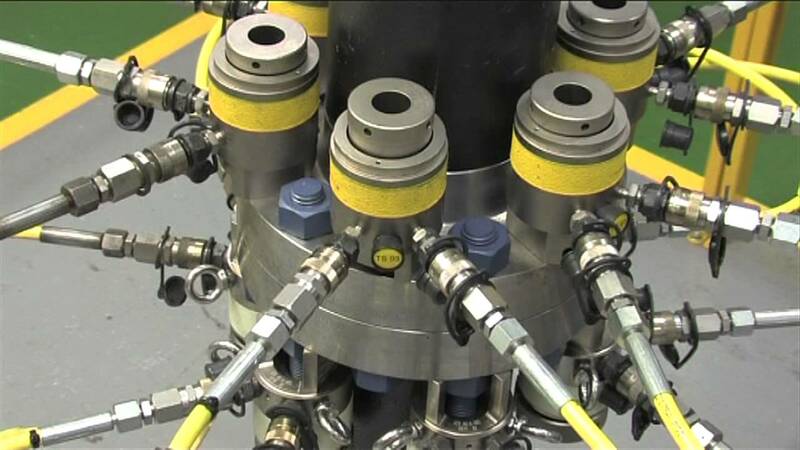 Our bolting technology develops, produces and distributes hydraulic, electric and pneumatic bolting methods for tightening and loosening a wide range of industrial bolt connections.